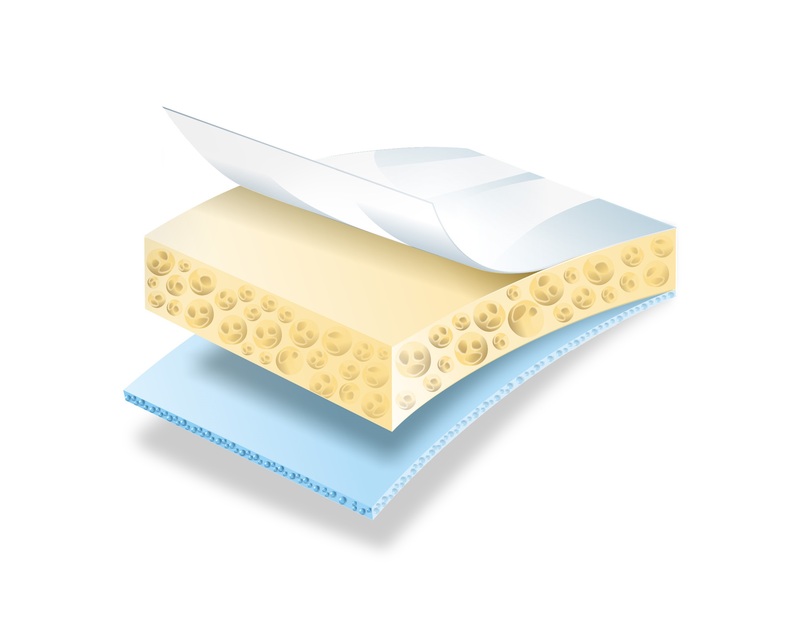 contact layer – a unique composition of active ingredients which significantly reduces bleeding time. 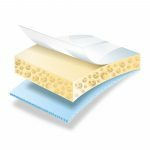 The layer includes chitosan and alginates. Chitosan, by the reaction with erythrocytes and thrombocytes on the surface of the wound, reduces bleeding time. 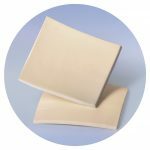 Calcium alginate accelerates natural clot formation and sodium alginate – which absorbs wound exudate – creates a gel layer on the surface of the dressing which prevents it from adhering to the wound. absorptive layer – made of high-absorption polyurethane foam which permanently absorbs and stores blood in its structure, even if pressure is applied. protection layer – made of water resistant polyurethane membrane which protects the external side of the dressing from external factors and, at the same time, protects the Medical Personnel from contact with blood. 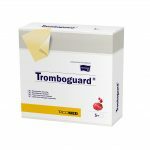 The Tromboguard® dressing has a documented haemostatic properties - its quick action was proved by clinical trials. efficient blood absorption even if pressure is applied. The Tromboguard® is an ideal dressing for first aid kits and can be used in battlefield conditions. wounds resulting from traffic accidents. The Tromboguard® dressings are sold sterile - by radiation sterilisation with ionasing radiation (R), in a validated process in acc. with PN-EN ISO 11137-2 norm. 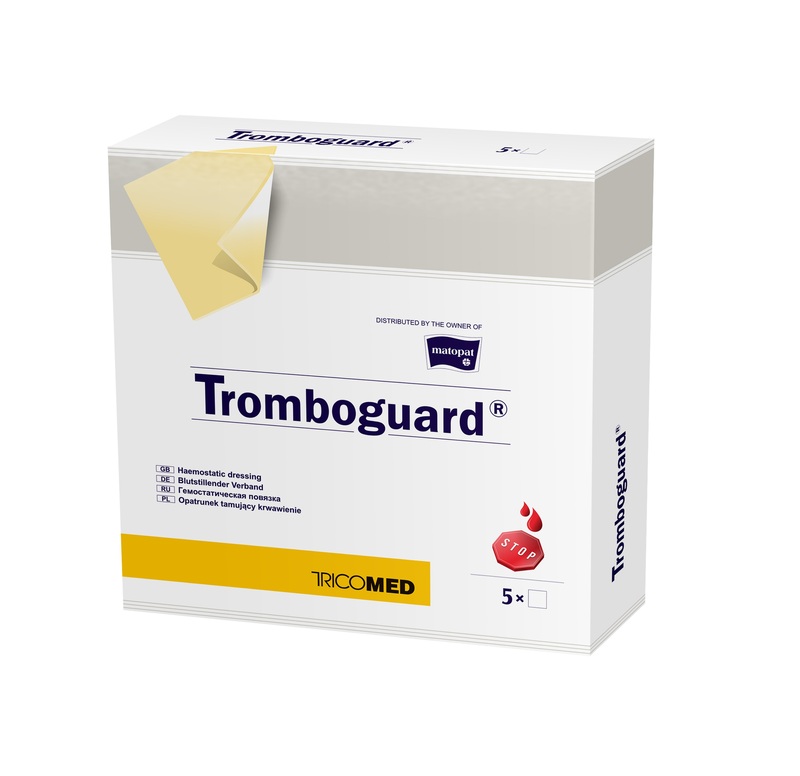 Sterility of Tromboguard® haemostatic dressings is confirmed periodically with sterility tests. The sterilisation indicators placed on each package prove the product's undergoing the sterilisation process. Microbiological purity determined in acc. with PN-EN ISO 11737-1; accepted limit: max. 100 microorganisms/1g of the device. Before the sterilisation process periodical tests of microbiological purity of randomly chosen products are carried out; such procedure guarantees full safety of use of the product. The Tromboguard® haemostatic dressings fulfill all the requirements specified in PN-EN ISO 10993-1 norm and they also possess a number of documented biological tests. pH – approx. 6,0 – ensures optimal environment - reduces the risk of inflammatory reaction. Tensile strength - min. 75 kPa – assures good mechanical resistance of the dressing. 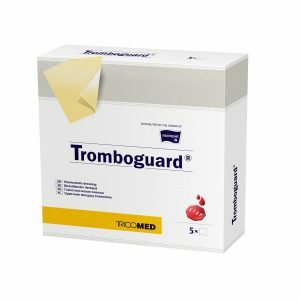 The Tromboguard® haemostatic dressings are packed in medical packages (fulfilling PN-EN ISO 11607-1 requirements) - a coated sachet bag adequate for radiation sterilisation. On the outer packaging there is a label identifying the device. The packaging protects the dressing from UV radiation. 5 pieces of sterile dressings packed in medical packages with the IFU included are placed in a cardboard box. Such package ensures safe storage within the guaranteed validity period.